Kimila Kay lives in Donald, Oregon along with her husband Randy, her adorable Boston Terrier Maggie, and feisty back cat named Halle. Her professional accomplishments include three anthologized essays in the CUP OF COMFORT series, and in three separate contests, two first place awards and a third place award in the romantic suspense category for PERIL IN PARADISE. Kimila is currently a member of a writing critique group and Willamette Writers. 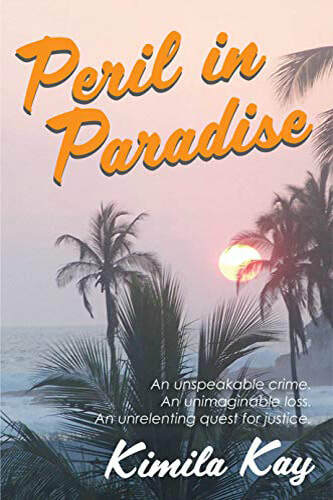 PERIL IN PARADISE is the first novel in a planned cross-cultural series, which will include Murder in Mazatlan, Chaos in Cabo, Vanished in Vallarta and Lost in Loreto.